The Dubai Electricity and Water Authority has signed a Memorandum of Understanding (MoU) with French street lighting equipment specialist, the Ragni Group, to design and implement smart lighting poles. The smart poles will be produced in the first quarter of 2018 and will combine multiple innovative features that support smart-city infrastructure adhering to the highest international standards. These features will support smart and green mobility, autonomous driving, Wi-Fi, Internet of Things (IoT), energy-saving lighting and environmental intelligence. The MoU was signed by Pierre Samaties, CEO of Innogy International Middle East, and Jean-Christophe Ragni, Associate Executive Director of Ragni Lighting. A high-level delegation, headed by HE Saeed Mohammed Al Tayer, MD & CEO of Dubai Electricity and Water Authority (DEWA), also discussed collaboration with France’s Colas Group, a major French civil engineering firm specialising in road construction, in Research and Development (R&D) and producing clean energy from photovoltaic cells that are installed on road surfaces. Colas Group together with the INES (French National Institute for Solar Energy) developed Wattway, which combines road construction and photovoltaic techniques. Wattway pavement provides clean, renewable energy in the form of electricity, while allowing for all types of traffic. “These innovative initiatives support DEWA’s effort to promote Dubai’s sustainable and comprehensive development, and the national efforts to increase reliance on clean energy, protect the environment and sustain our natural resources. 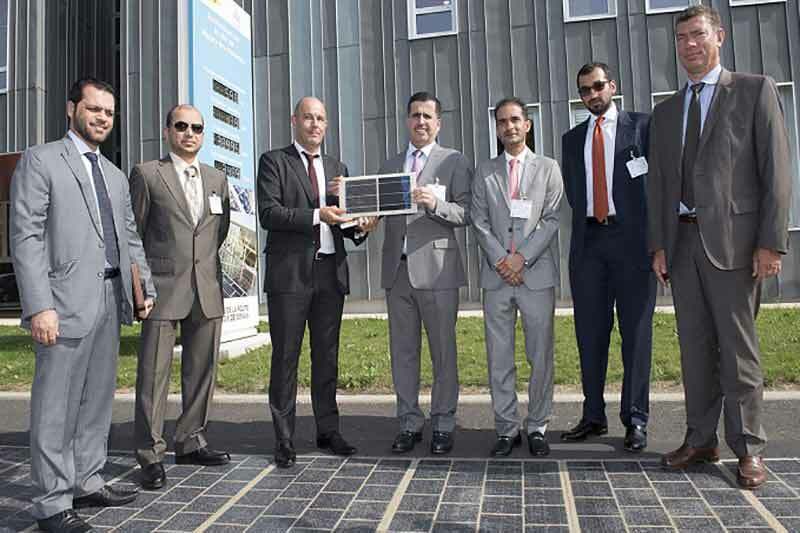 They complement DEWA’s initiatives such as the Mohammed bin Rashid Al Maktoum Solar Park, which is the largest single-site solar energy project in the world, Shams Dubai to install photovoltaic systems in buildings and connect them to DEWA’s grid, and DEWA’s smart initiatives,” added the MD & CEO of DEWA. The Dubai Clean Energy Strategy 2050, unveiled in January 2017, aims to generate 7% of Dubai&apos;s total power output from clean energy by 2020, 25% by 2030 and 75% by 2050. The objective is to make Dubai the city with lowest carbon footprint in the world by 2050, ensuring a sustainable future.